In many occasions, men give flowers to women who are special to their hearts. Any woman, whether as a lover, mother, sister or even a best friend, would feel more beautiful and loved if someone gives her flowers such as roses. Roses are known to have sweet, romantic and sensual scent, a perfect gift to anyone you hold special to your heart. However, flowers wither and dry in time, so does its fragrance. 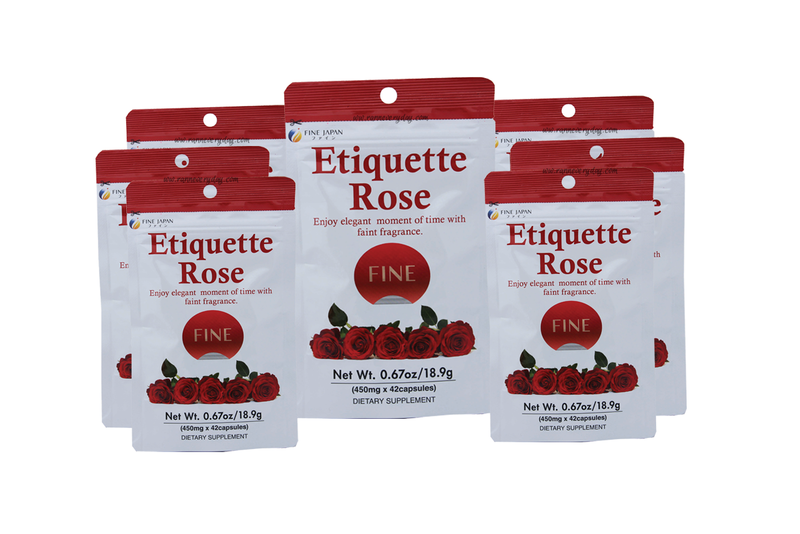 Now, women may not only smell the fragrance of a rose but may also possess it by taking in Fine Etiquette Rose Supplement, a health supplement that fights off unwanted body odor. The Fine Etiquette Rose supplement contains oil extracted from Bulgarian damask roses, one of the best and precious sources of perfume oil since ancient times. In fact, it takes 2,500 roses to extract a mere 1cc of oil. The oil is then incorporated with other organic ingredients like fermented rice germ and soybean oils that gives the mixture natural deodorant properties. 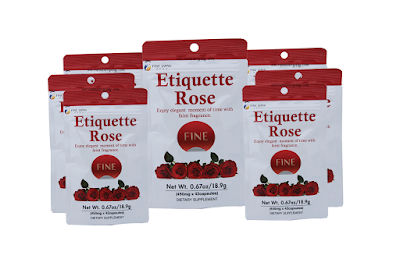 The Fine Etiquette Rose supplement acts double time as the body’s warrior against any unpleasant odor and fragrance agent that gives off an irresistible smell that comes from within. Feel confident with fresh and sweet smelling breath and capture the heart of anyone you meet. To achieve the natural fragrance you want without spending too much on perfumes, just take three capsules of Fine Etiquette Rose supplement daily and feel the difference in just a few days. Being beautiful is also synonymous to being healthy and fit. Your beauty essentials must not only make you smell and look good, you must feel healthy too. Enhance your beauty by adding Premium HyC150 to your health and beauty essentials. The Premium HyC150 is a product of high value, manufactured by Fine Japan Co. Ltd., a company that has been providing premium and effective nutraceutical products for 40 years. The Premium HyC150, touted as the fountain of youth, contains hyaluronic acid, collagen and ubiquinol and fortified with vitamin C, biotin, elastin and pearl coix. Incorporated in a drink, these ingredients promote body cell repair, prevents sagging and moisturizes the skin and boosts body’s energy, enabling you to function properly each day. Studies conducted in Japan, North America and in Europe show that about 93 percent of Premium HyC150 consumers have improved hair, nails and skin with continued use. Be part of that and get back that youthful glow. 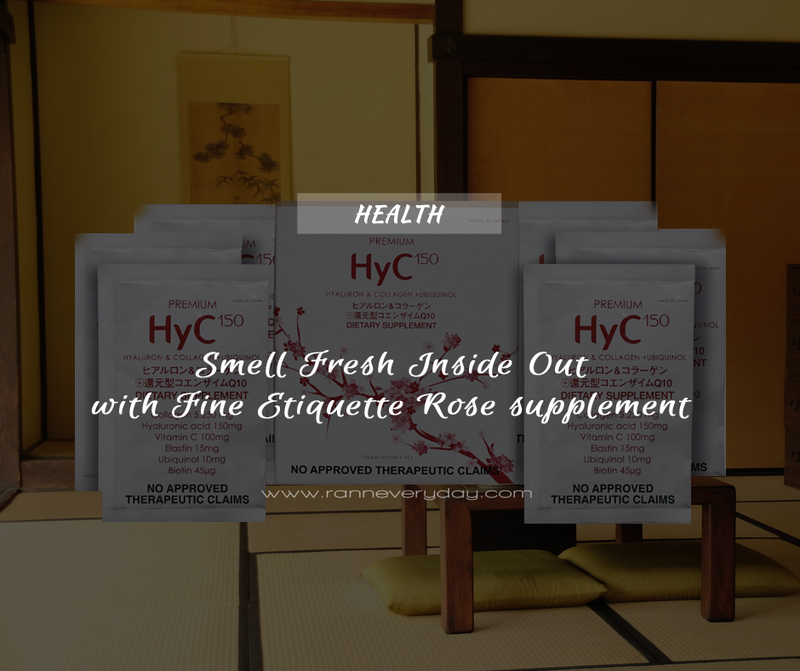 Exude the beauty and unleash that confidence from within with Fine Etiquette Rose supplement, while stay fit, look vibrant and feel young again with Premium HyC150. For more information, visit our website at www.HyC150.com. Available at select Watsons stores nationwide, as well on Lazada Philippines at www.lazada.com.ph.